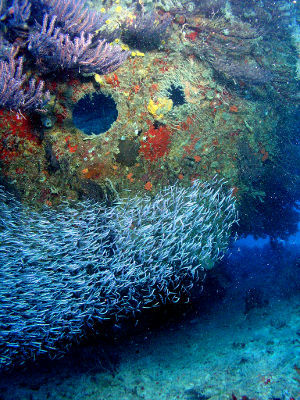 Explore the underwater worlds of sunken ships and coral reefs off Miami’s coast! 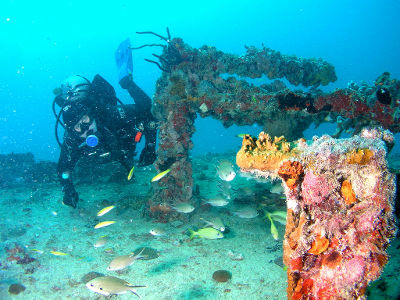 Miami Beach has been called “The Wreckreational Capital of the Americas” because of its large number of wrecks to explore. 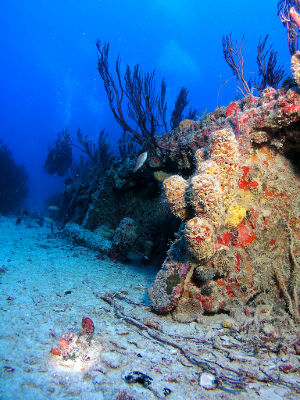 Most of the wrecks are artificial and have been sunk for the purpose of creating reefs to attract coral and sea life. Some of these sunken objects include ships, army tanks, oil platforms, hundreds of concrete and limestone structures, as well as other interesting vehicles and objects. The sunken objects attract coral and a wide variety of sea life creating beautiful underwater worlds as well as help cultivate coral reefs. The bright colors of the coral and sea life make these underwater wrecks a vibrant, beautiful and peaceful world under the sea. 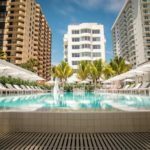 Miami has great diving conditions all year round with water temperatures between 70° F to 85° F (21° C to 29.5° C). 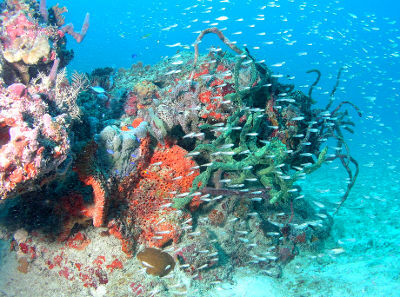 There are more than 75 diving wrecks to explore off the Miami coast and John Pennekamp Marine Sanctuary, the largest living coral reef in North America, is just over an hour away in Key Largo. 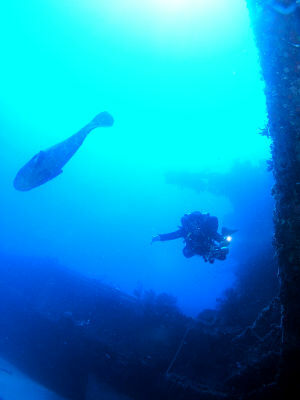 Check out this video of the amazing underwater world of shipwreck diving!